For Spring/Summer 2016 (SS16) LUMIN brings us a collection that was inspired by ‘everyday chaos’. The design duo behind the brand is Amy Liu and James Barret-Poulsen. 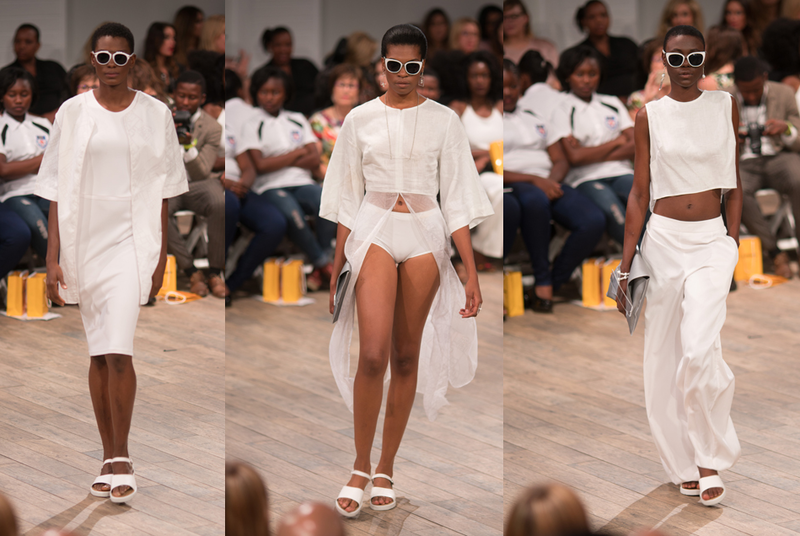 The designers wanted to evoke a ‘sense of serene and calm confidence, embodying a women who is sure in her style and comfortable in the streets of New York or the beaches of the Seychelles’. 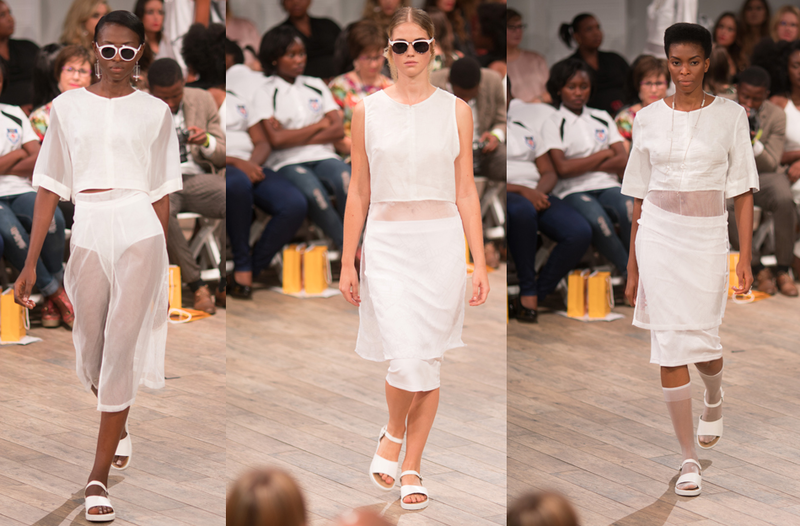 LUMIN presented their SS16 collection on 5 April 2016 at SA Fashion Week, during the Lufthansa 1st Best Collections Showcase. The models looked cool and dashing as they effortlessly walked the runway in LUMIN. The colour palette for the collection was cool and calm and consisted out of whites and sheers with a print which was designed by the design duo. 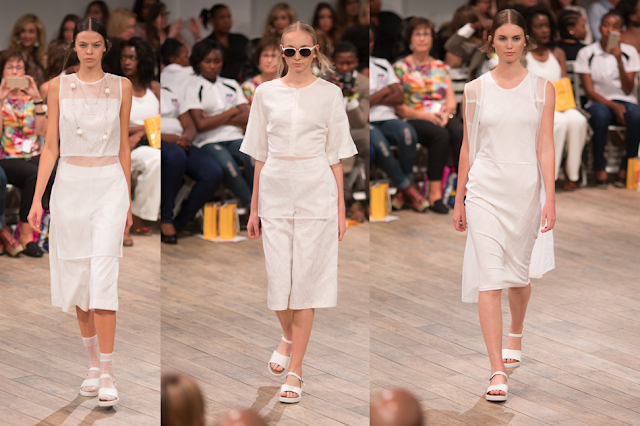 The fabrics were lightweight and had easy movement and included linens, mesh, chiffons, voiles and twills. 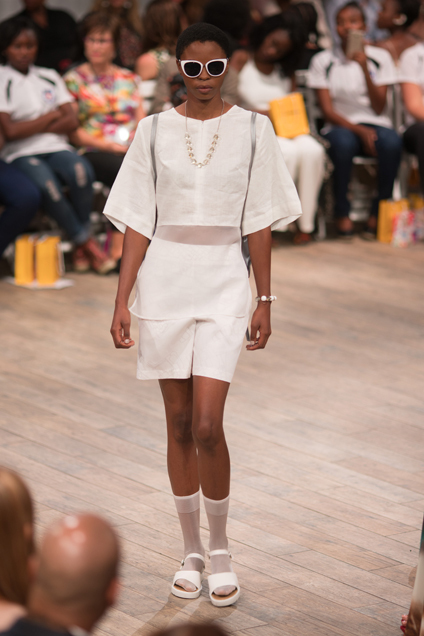 The Lumin SS16 collection is cool and young, with interesting shapes and sillihouetes. It is both comfortable and easy to wear.